An ISS astronaut controls a robot … on Earth? Hurtling through space 250 miles above the Earth, a Danish astronaut took control of the Interact Centaur in a groundbreaking experiment. 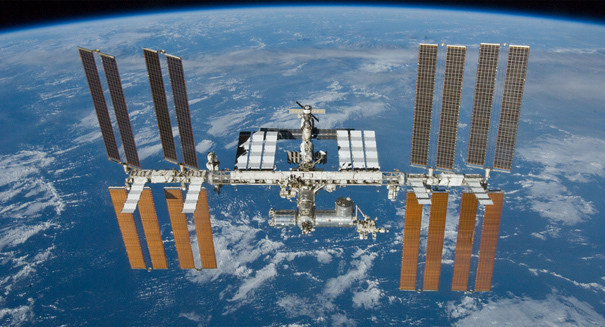 A Danish astronaut aboard the International Space Station has successfully pulled off a big advance in technology: controlling a robot from space. Danish astronaut Andreas Mogensen is on a 10-day mission to the ISS, and one major part of his stay there included an experiment where he attempted to guide a robot on Earth using nothing but feeling, and was able to put a peg in a hole as the European Space Agency monitored the experiment, according to a TheLocal report. Mogensen was orbiting about 250 miles above the Earth as the experiment was underway and the astronaut took control of the Interact Centaur rover. The robot cost about $224,000 to build. It is blue and white and is made of fiberglass. The robot has a camera on top of its head, allowing the controller to “see” what he or she is doing. But it’s not sight that the controller uses primarily — it’s touch. Thanks to signals rapidly bouncing off a complex system of satellites, the astronaut is able to maneuver the robot in real term using a sense of feel. He then lowered a metal pin into a tight hole using the robot’s hand. It was a pretty tight squeeze: there was only a sixth of a millimeter of room to fit it in. Mogensen was able to feel whether or not the pin was in place by feeling the sides of the hole using a joystick he had on board the ISS. When he was successful, engineers on Earth cheered. This could be a big advancement, allowing humans to guide robots in difficult tasks simply by feeling the way to do the task. This could allow robots to do human-like tasks on the surface of a distant planet.